SOULFUL SOUNDS: Award-winning Central Coast singer-songwriter Loren Radis will release his new live album on Sept. 19 at Steynberg Gallery. Loren Radis has been quietly making great music on the Central Coast for six years. He first hit my radar in 2009, when his song “If You’ll Be Mine” was one of the winners at the inaugural New Times Music Awards. He was a winner the next year with “Homesick,” and the next, with “(May I) Walk You Home?” This year his winning track, “Young Man’s Song,” again made the finals. You’re starting to get the idea, right? He’s a gifted and engaging songwriter, and that’s made nowhere clearer than his new live CD And Everything Was Perfect, recorded in August 2013, at a house concert in Nipomo. It’s just Loren and his guitar on the CD, but when he plays an album release party this Friday, Sept. 19, at Steynberg Gallery (7:30 p.m.; all ages; $10 includes a CD; reservations at 547-0278), he’ll be joined by cellist Bob Liepman of Shadowlands and violinist Kate Feldtkeller of Hilary and Kate. The recording quality is surprisingly good, and Loren’s voice is clear and arresting, with crisp, rhythmic guitar work backing up his tender, folk ballads. He lists The Beatles, Simon & Garfunkel, and Damien Rice as influences, and his music has been compared to Paul Simon and Elliott Smith. Indeed, these are thoughtful, beautiful compositions. 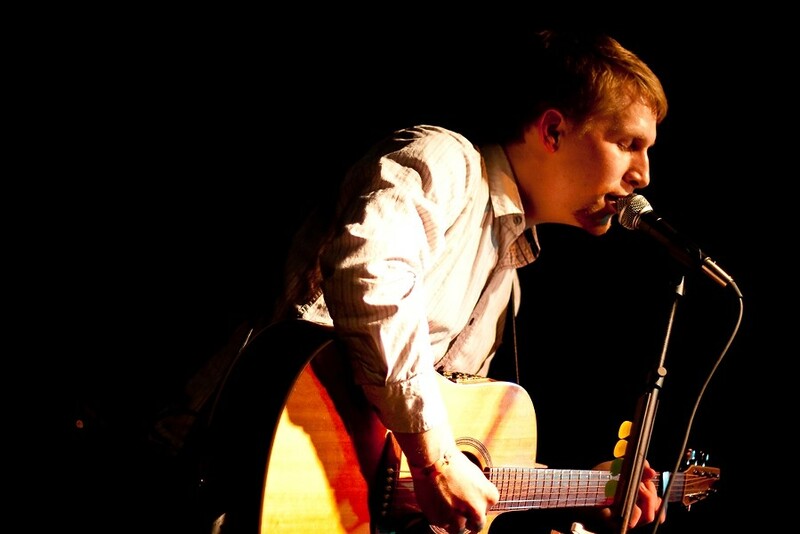 They’re also immediately accessible songs that span his six-year career, frequently focusing on love and relationships. In short, these are pretty irresistible songs from a humble but talented performer. If you haven’t caught the Loren Radis bug, get infected! SLIMMER: You can soak in the glory of former Stray Cats drummer Slim Jim Phantom at SLO Brew on Sept. 20. Is he the greatest rockabilly drummer in the world? He’s certainly the coolest, the slimmest, and the most rakish! 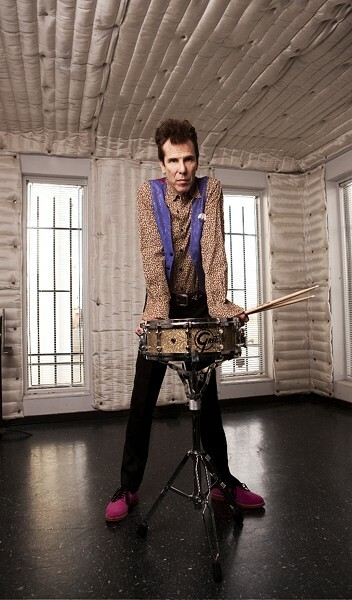 This Saturday, Sept. 20, you can soak in the glory of former Stray Cats drummer Slim Jim Phantom at SLO Brew (7 p.m.; 21-and-older; $15 presale or $17 at the door). The iconic rocker helped usher in the neo-rockabilly craze of the early-’80s, and he’s continued to be a purveyor of rockabilly. His entry into music came from listening to his parents’ jazz collection in their Brooklyn home, where he started playing drums at age 10. “To be honest, I think the drums chose me. I can’t remember ever wanting to do anything else,” Phantom recalled in press materials. SLO Brew’s got a bunch of other great shows this week like The Real McKenzies on Thursday, Sept. 18; Mt. Eden on Friday, Sept. 19; punk rock legends 7 Seconds on Sunday, Sept. 21; Mitis on Monday, Sept. 22; Sky Blue on Tuesday, Sept. 23; awesome and enigmatic The White Buffalo on Wednesday, Sept. 24; and pop sensation Aaron Carter on Thursday, Sept. 25. Visit slobrewingco.com for all the details. GO GREEN! : The Young Dubliners will play the 2nd annual Blarney on the Beach at the Avila Beach Golf Resort on Sept. 21. If you’re already jonesing (or, should it be murphying?) for Saint Patrick’s Day, you’re covered, because The Young Dubliners will play the second annual Blarney on the Beach at the Avila Beach Golf Resort this Sunday, Sept. 21 (noon to 5 p.m; all ages with kids under 8 free; $20 general admission; $40 McCarthy’s VIP tickets that include the McCarthy’s VIP Lounge, Irish food samples, VIP parking, and more; tickets online at blarneyatthebeach.com). The Young Dubliners are on a U.S. tour that started in Alaska, promoting their ninth studio album, aptly titled Nine. This time around, they decided to eschew the label route and release independently. 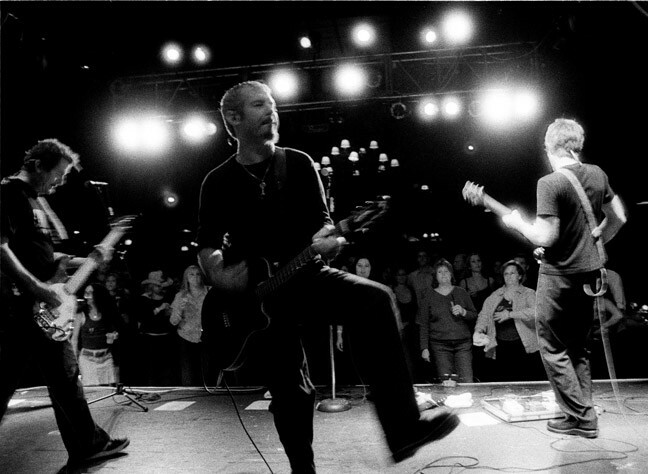 This is an amazing, hardworking Irish-American rock-and-beyond band. They’ll have you on your feet. In addition to the headliners, you’ll hear music by The Real McKenzies and Staggering Jack, and sponsors include Tullamore Dew, McCarthy’s Irish Pub, Harp Lager, Guinness, Smithwick’s Ale, with proceeds benefiting the Central Coast Autism Spectrum Center. A great cause, great music, you’re at the beach, and there are no snakes! 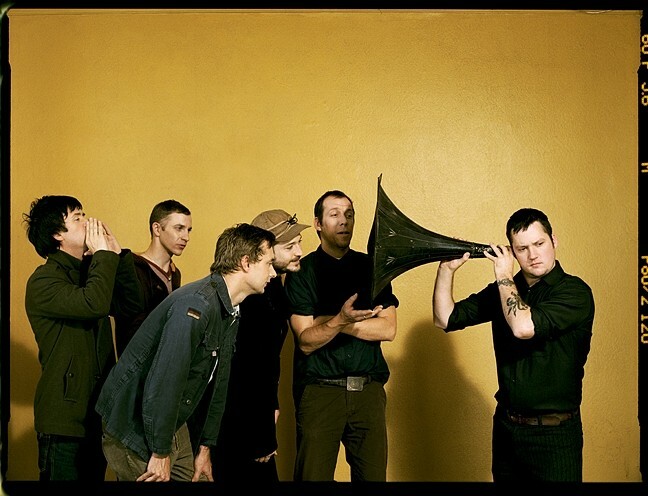 EXPERIMENTAL: Indie, experimental rock act Modest Mouse plays Vina Robles Amphitheatre on Sept. 24. Modest Mouse may not be quite the sensation they were when they hit the scene in the mid-to-late-’90s, or in 2004, when they received two Grammy nods, or even when former Smiths guitarist Johnny Marr joined the band briefly in 2006, but for fans of core members Isaac Brook and Jeremiah Green, and their indie, experimental rock sound, they’re still undeniably engaging, and they’re playing Vina Robles Amphitheatre this Wednesday, Sept. 24 (doors at 6 p.m.; show at 7:30; all ages; $56.20 at vinaroblesamphitheatre.com). Last year, they played Coachella, and earlier this year, they played the Hangout Music Festival in Alabama, and headlined the Shaky Knees music fest in Georgia. In other words, you’re about to see a huge band in a relatively small, intimate venue. Feel lucky! Doug Adamz—a gifted guitar player, soulful singer, and punchy harmonica player—plays this Friday, Sept. 19, from 7 to 9:30 p.m., at the house of Stanley and Carol Stern. Call for reservations and directions: 528-6557. Nashville-based Americana duo Mare Wakefield & Nomad are touring through town this week with Poet on the Moon, a new album they funded through Kickstarter that reached No. 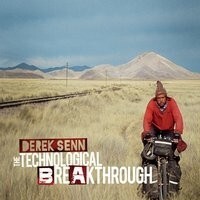 10 on the Folk and Roots Chart. See them at the Songwriters at Play showcase at Bon Temps Creole Café this Monday, Sept. 22 (6:30 p.m.; all ages; free). Cajun Woman is the inveterate musician’s first solo CD, but he’s no newcomer to music. He began playing professionally at age 15, and his band Shameless has been a Central Coast staple for more than a quarter century. He can write a great ’70s style, hook-heavy track, such as “Just One Dance,” as well as a smoky, nasty little track like “Help Us Know,” that weaves in politically charged lyrics. 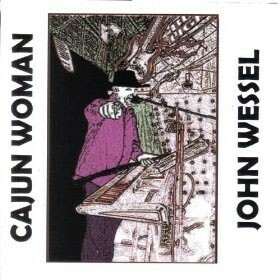 The CD’s title track, “Cajun Woman,” has a reggae rhythm, pointing out Wessel’s range, and perhaps more amazing still, Wessel plays almost every instrument on the album: flute, saxophones, keyboards, bass, tambourines, and hand drums, with guest guitarists Ed Frawley, Bill Tomkin, and Bill Starling sitting in on guitar. Over the years, Wessel has collaborated regularly with long-time friend Glenn Cornick, founding member of Jethro Tull, who died earlier this month. Because of Wessel’s flute playing and range, he was a natural to join Cornick for Jethro Tull “tribute” shows. You can definitely hear Tull influences in here. You can see Wessel with Shameless on Friday, Sept. 19, at Cambria Pines Lodge from 9 to midnight; Saturday, Sept. 20, at the Fuel Dock from 9 p.m. to 12:30 a.m.; and on Monday, Sept. 22, at Harry’s from 9 p.m. to 1:30 a.m.